Candida purportedly affects different people in different ways. Often, yeast overgrowth symptoms mimic other conditions and the symptoms are treated rather that the source or cause. Because children often exhibit signs of candida overgrowth regularly (such as hyperactivity) it can be even harder to identify. Further, because candidiasis treatment involves detoxification, which can be dangerous for children (and adults) it is even more of a problem if your child is showing yeast overgrowth symptoms. Do you have an irritable or angry young one? Daily stresses such as school and friends can cause behavioral changes in children, but if these are accompanied by “brain fog” or coordination issues, they could all be attributed to yeast overgrowth symptoms. The digestive system can also give some clues to whether or not your child has a few extra yeasty fungi hanging around. Flatulence and bloating along with constipation and nausea can all be considered symptoms. Diarrhea and stomach cramps have also been reported. However, the often limited and variable diet of children can also be hugely responsible for digestive tract symptoms as well. Another group of symptoms that can be confusing in children are those of the skin and body. Body odor and athlete’s foot can be clues to solving a fungi mystery. Children of course, who are involved in sports, often have interesting smells and foot problems, so these are sometimes not easily discernible. Oddly enough, bad breath has been associated with excessive candida as well, although children who forget to brush their teeth in a morning haste to catch the bus likely will suffer this symptom just as often. It is extremely important that your child see a medical professional if you suspect illness or injury and not assume that they’re merely experiencing yeast overgrowth symptoms. 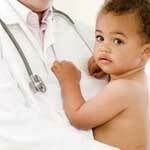 Ignoring signs of sickness or illness can put your child in serious jeopardy. Because detoxification candida albicans diet plans are not safe for children due the lack of nutrient intake and strain on the digestive system, consider natural cures for yeast infection options instead. Always remember that self diagnosing can be dangerous and pose risks to your health, and if you have any concerns about symptoms your child is experiencing, see your medical professional immediately.